Suitability: Any age or level! I am a Melbourne based percussionist, drummer and tutor, as well as the director of the Footscray-Yarraville City Percussion Academy. 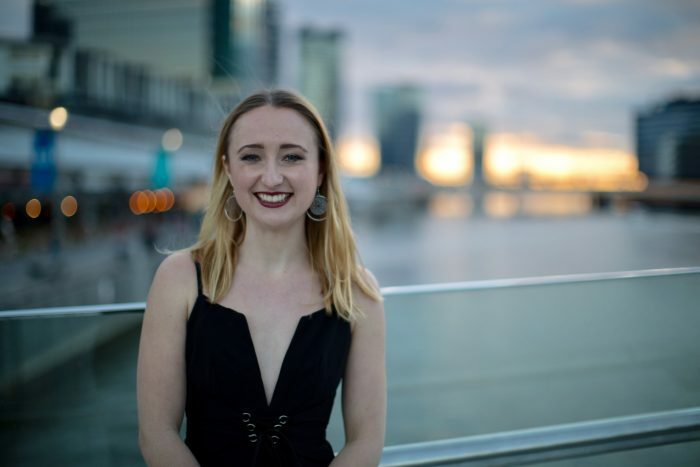 I completed my Bachelor of Music in 2015 from the University of WA, specialising in classical percussion performance, and have been completing my Postgraduate Certificate in Education at the University of Melbourne. Over the past 5 years I have been touring nationally and internationally with the Australian Youth Orchestra and the WA Youth Orchestra, of which I was principal percussionist. I have been teaching for six years, at primary school, high school and privately, one-on-one, groups and ensembles. I offer lessons on snare drum, xylophone, timpani and drum kit. I teach all ages and levels! My studio is in Footscray so if you are within the inner/western suburbs, send me a message! Classical/Orchestral: This involves orchestral music, excerpts and orchestral solos. I teach xylophone, snare drum, timpani, tambourine, triangle, crash cymbals and bass drum. I also have good preparation strategies for any auditions you may have coming up. Contemporary: This is everything from the 20th and 21st century including ensemble percussion or drum kit. Solo: Solo performance works on xylophone, snare, timpani or drum kit. In this area we focus on not only technique and the technical aspects of the piece, but also performance techniques and strategies. Basic Jazz/Latin/Swing: I teach very basic beginner jazz rhythms and scales, latin rhythms, and swing on the drum kit. All lessons are super fun and I am a very encouraging and supportive teacher. I will design my lesson plans around your needs and goals.